Train2Game News visited The Centre for Computing History stand at The Gadget Show Live in the Birmingham NEC. While there we spoke with the museum’s trustee and curator Jason Fitzpatrick. In an in-depth interview, he discussed the aims of the centre, the importance of programming, the museum’s upcoming move to Cambridge and more. Listen via Train2Game Radio, or read the interview below. As usual, leave your comments here on The Train2Game Blog, or on the Train2Game forum. What is the Centre for Computing History? It’s a computing history museum, currently based just outside of Cambridge, but we have some sponsorship from companies like ARM and Microsoft Research who have helped support us, and we’re now going to open up in Cambridge in the next couple of months. What are the main aims of the centre? It’s the history of computing in general, and we’ve got a bit of a different slant on it because obviously computers are important for that they are, but it’s looking at computers and how they’ve changed us. The term ‘personal computer’ is very much more personal than anyone thought it would be, so having something like computers and the way they interact with our lives and changed the way we are is something that we’ve taken for granted. So we go on the internet now, shop, and that’s just what you do. But going back to the early 1980s, it wasn’t something you could even dream of doing, so it’s a really short space of time, but things have changed completely, so it’s looking at machines and how they’ve changed things. And all of the computers are on display here at The Gadget Show Live for people to look at or even use. Yeah, absolutely! The museum wants to be interactive, so we want to have these things out and people can use these things, play the games as they were, feel how the machines and the keyboards were like. Otherwise, they’re just beige boxes of nothing, but to have one on and see it in use, that means everything. Now when people play games, they just need to take it out the box or download it first, but back in the 1980s you had to code it yourself. Are those types of machine to see? And is programming something that’s lost on the younger generations? Yes, certainly. Go back to the 80s and you were typing in magazine games – and most of the time they were wrong anyway – so you’d then spend time trying to work out why they were wrong, and in doing that you were learning programming. Certainly it’s important, and it’s something we’re very much keen on doing; we take a fleet of BBC Micros out to schools and let kids program them. For some of those kids it’s quite an eye opener, they don’t even know you can program a computer, which is really strange for me, but that’s the way it is, they’ve just grown up with computers and they’re just ways of accessing the internet or using Word. So, I think programming is a bit of a lost art form, and it’s important that we get it back into schools and into the curriculum, and we’re trying to play our part in doing that. How do you go about selecting what’s on show in the Centre for Computing History? It’s really difficult, like choosing your favourite child! Really, it’s about trying to change it from last year, so for this event [Gadget Show Live] we had some other machines on display, so we’ve put those aside this year and do a different selection. For the museum, again, we’re going to keep it fresh, we’re going to make sure that it changes fairly regularly. Because in the 80s there were hundreds of machines, computers and games consoles that came out. You couldn’t have them all on display at the same time, but we can change them around, so that’s what we’re going to do, we’re going to have different displays on at different times. How difficult is it to maintain the computers? Parts, especially for the older ones, can’t be easy to find. Yes, it can be difficult sometimes. But we’ve got a lot of support from the general public, it’s really nice, so we get a lot of donations in. And people email us saying “I’ve got an old Commodore 64, but it doesn’t work, do you want it?” But we’ll take it, because it could be used for parts as we have a mountain of old machines that are in various states of working and we basically live off those. So we either try to get those working by fixing them specifically or using the parts to fix others. There’s a lot of love in it, I must admit. There are a lot of volunteers that do things for the museum like coming out to events and supporting it, fixing the machines, do various things. But it does have a certain amount of funding, from ARM, Redgate Software and Microsoft Research in Cambridge, and they’ve put money into physically moving us into Cambridge. After that, once we’re there, we’ve got to build the museum ourselves, so we’ll be looking for sponsorship or donations of equipment to physically build the museum. Once we’re there, and we’re opened, then people will pay on the door to come and see us and we’ll just work like any museum, with a shop, cafe, things like that. But we’re also a little bit different, in that we take a lot of this old technology, and make it available to TV and film companies. So we then supply this old stuff, or make it do something different, doing documentaries, so that’s another revenue generating things for the museum that keeps it ticking over. There are a few bits of business we can do to keep things going. When will the new museum open, and where can people get more information? Museum version 1 is currently in Haverhill, Suffolk which is going to close its doors for awhile as we move over. Museum version 2 will be in Cambridge and you can go to the website www.computinghistory.org.uk where there’s all the information about the move and when we open. We hope to open in a couple of months. So go on there, follow us on Twitter and Facebook and keep abreast of what we do. Finally, if there’s one piece of equipment here you could say is the most significant, what would that be? That’s so hard, because there are lots of significant items in different areas. 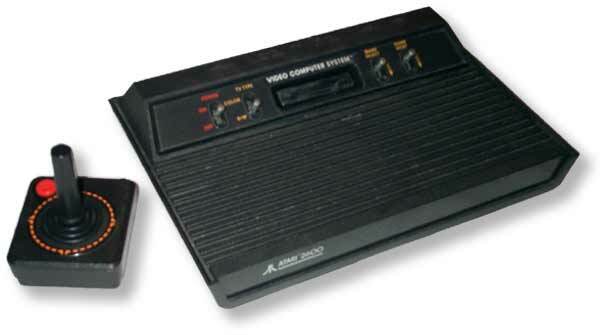 For me, in gaming, the Atari 2600; it’s a bit of a personal one because I had one, I was quite lucky. So, that for me is really important because it started the whole cartridge based console system. There were things before it, but it really made cartridges popular. 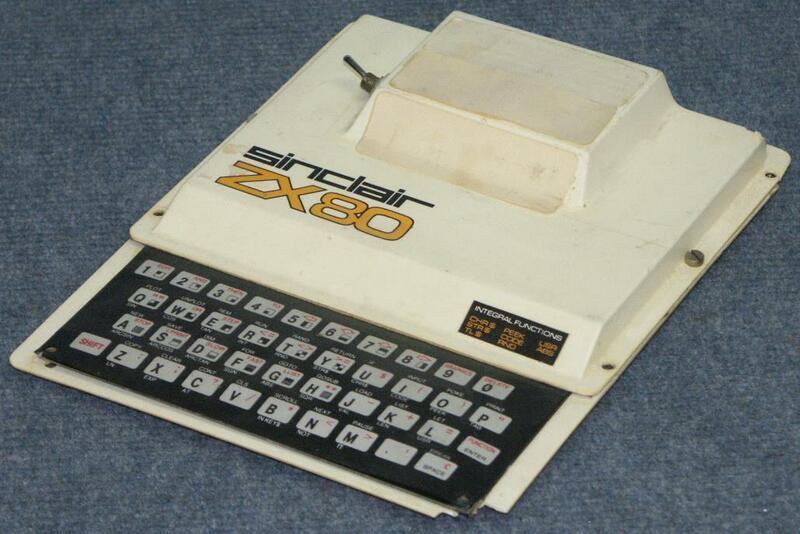 Equally, I think we’ve got things like the ZX80 computer which brought computing down to a price that was affordable, so that’s important. I think I could go round every decade, but those two are my favourites. Great thanks, for your time. This entry was posted in Train2Game and tagged Centre for Computing History, Gadget Show Live, Jason Fitzpatrick, programming, Train2Game by Train2Game Blogger Team. Bookmark the permalink.